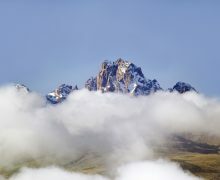 Mount Kenya is an extinct volcano with three peaks that rise over 16,000 feet. 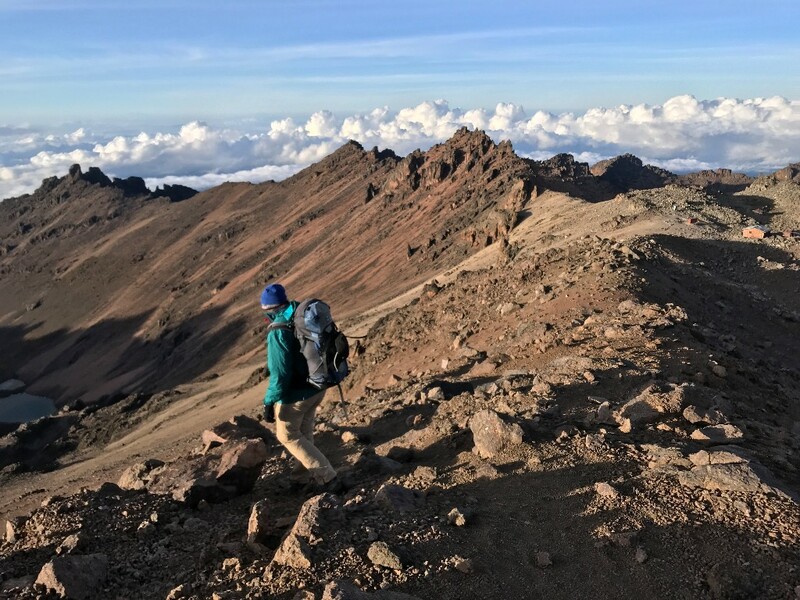 Point Lenana, at 16,355 feet tall, is a trekking peak that requires no technical skills to ascend. Climbs start in the equatorial rainforest near the mountain's base and rise through the montane bamboo groves higher up. 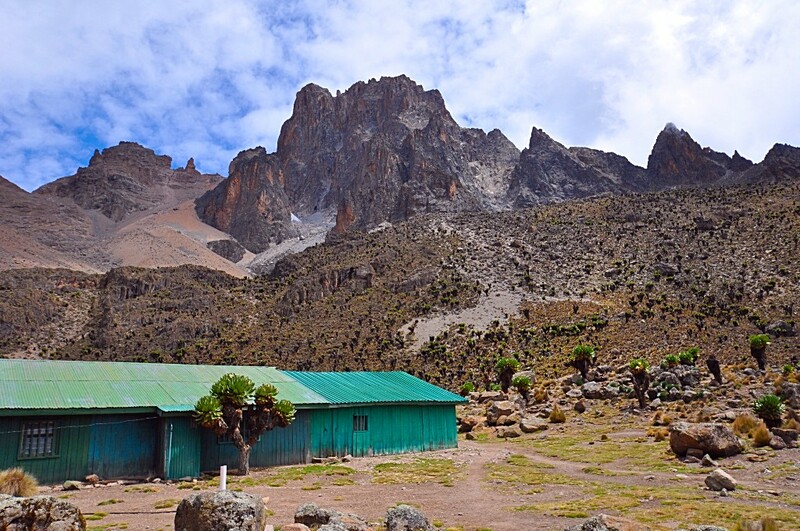 For most of the year, Mount Kenya rewards climbers with a view of three snow-capped peaks. The adventure begins with a transfer to Sirimon Gate, where administrative formalities are handled. 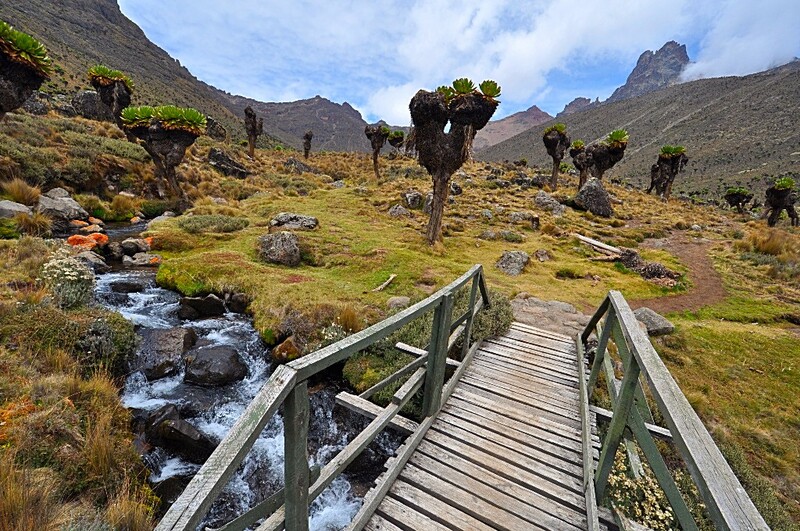 The hike leads us through strange vegetation of giant lobelia and groundsel, unique to equatorial African mountains. You sleep comfortably the simple mountain huts along the way. No camping is required on the entire trek. 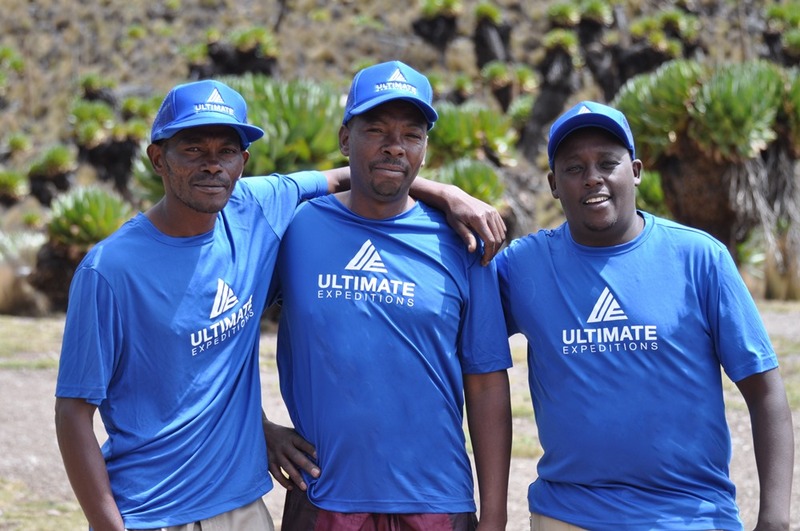 Ultimate Expeditions® guides and porters will support you on your climb. All you need to do is carry a small pack and enjoy the walk. 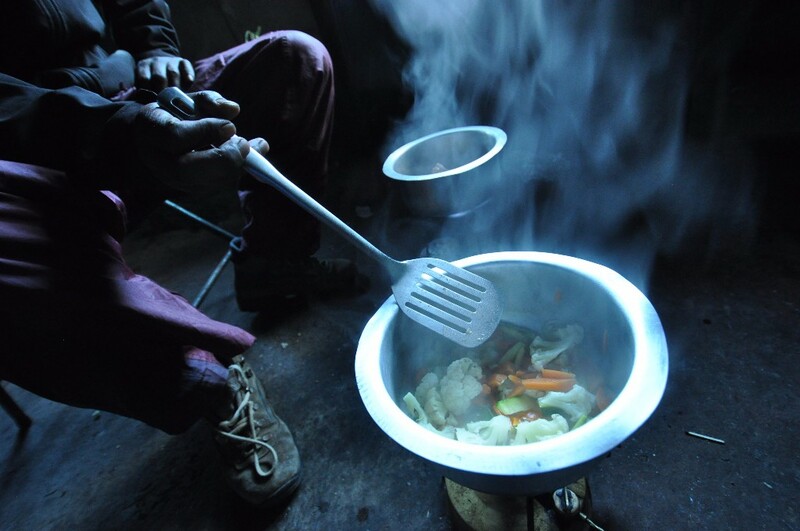 Our mountain chefs serve up hearty meals to keep you well fed, which is important for acclimatization. This trek will have you crossing spectacular alpine moorland and tarns until you are above the clouds. The scenery is magnificent. 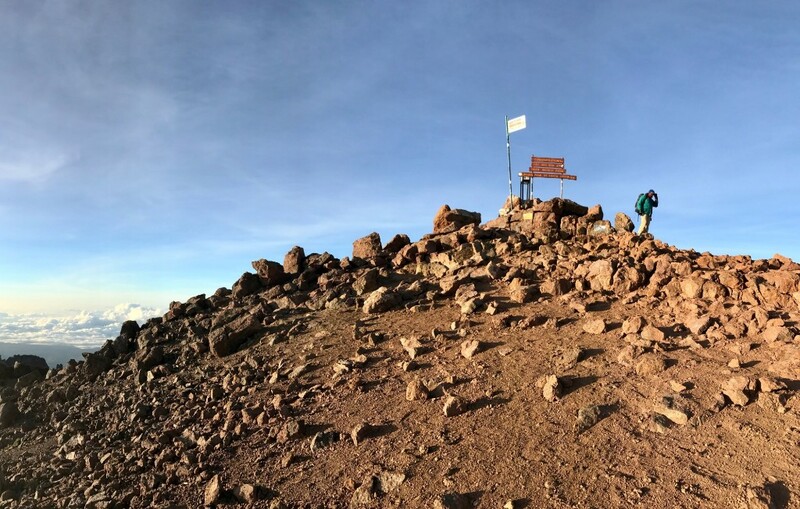 Finally, you stand victorious at Point Lenana, which sits at 16,354 feet above sea level and is the second highest trekking peak in Africa. The 8 day trip is ascents the Sirimon route due to its steady altitude gain and beautiful approach views. 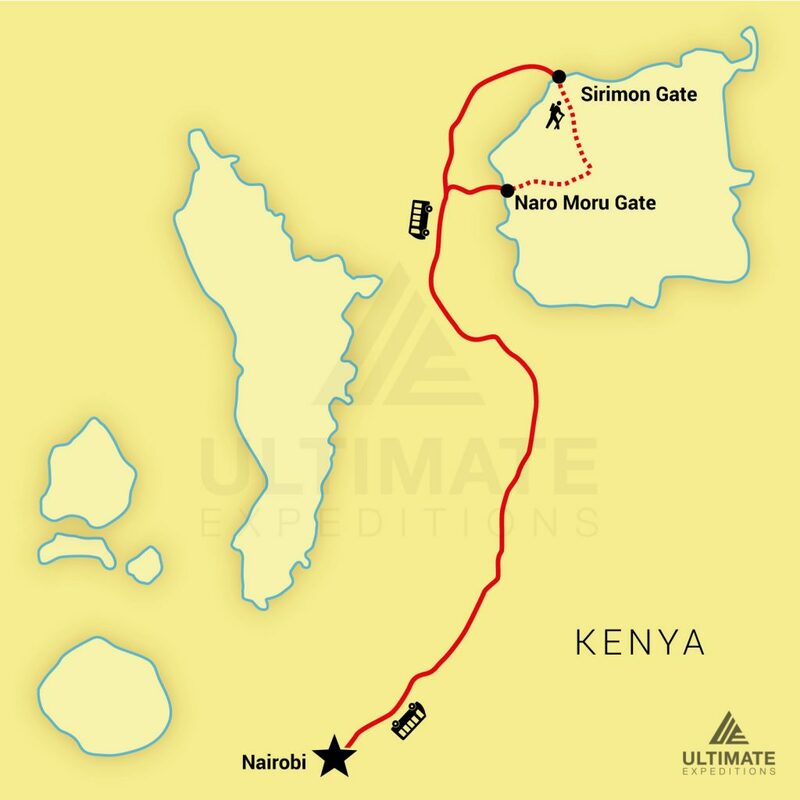 The descent route is on Naro Moru, which is the quickest and easiest way down the mountain. 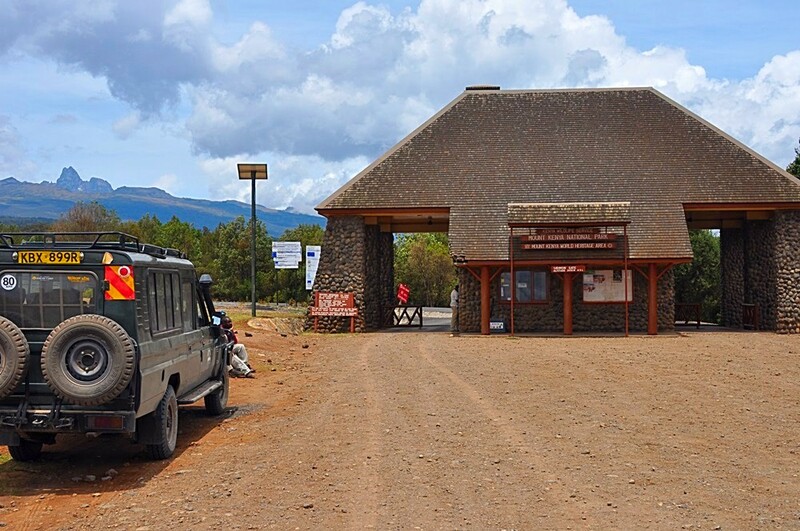 8 Day Mount Kenya Climb - Sirimon Naro Moru Route leaves visitors with a lifetime of memories. 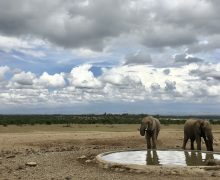 This trip includes: airport transfers, two nights accommodations in Nairobi, one night accommodation at Rhino Watch Lodge, all park fees, guides and porters, meals on the mountain, all park fees, and rental of sleeping bag, trekking poles, down jacket and rain jacket. Offered as a private tour starting at $2,280 per person.